StoryCorps is an award-winning nonprofit organization loved by millions for its beautifully crafted, authentic, and moving stories of people across America. We are an ideal partner for companies looking to expand philanthropic initiatives, to enhance brand-building efforts, and to reach new audiences through the power of storytelling. Since 2003, we’ve created the largest collection of human voices ever gathered. Our stories are broadly distributed through public radio, television, online, and in print. Each year, we reach more than 20 million people with our content—stories of love, friendship, family, and generosity. 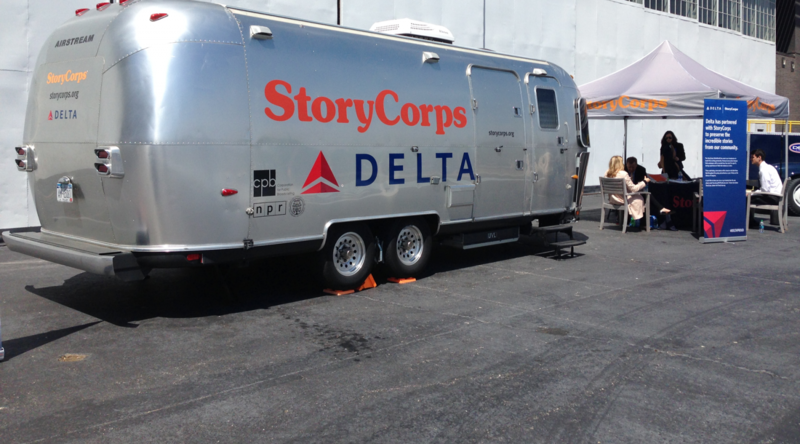 We can customize a national, regional, or program-specific partnership package to create a highly visible partnership that will align your brand with StoryCorps and reach our diverse and growing national audience.